Giulio Santelia (Carlo Delle Piane) is an elderly gentleman who stepped away from being a lawyer and made poker his profession. Guilio devoted himself to his love affair with Claudio (Lando Buzzanca). Giulio has a stormy relationship with his daughter, Valeria (Caterina Murino), though she loves Claudio. Valeria has a son, Marco (Antonio Careddu), who she raised alone and who adores his "grandparents". Marco also inherited the passion for poker, albeit with little success. 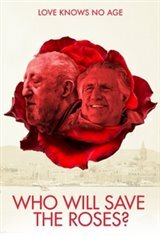 When Claudio falls seriously ill, all the love gets picked up by Giulio in a rose, brought to his bedside each morning. Claudio stops playing poker, and not long after the money runs out, and Giulio is forced to fire the gardener, the cook and even sell the furniture, staging the perfect bluff inside their house, in the beautiful Alghero. As in a theatre play, Guilio takes upon himself the different tasks, so as to allow the beloved Claudio, unaware of the situation, not to miss anything. But his love is not enough. There is the need for something else, a sum of loves. Help is needed. Valeria is needed.